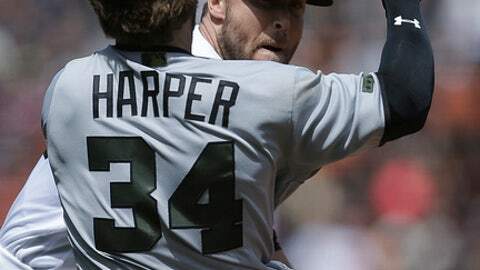 The Nationals’ Bryce Harper charged the mound Monday after getting hit by Giants reliever Hunter Strickland, and Posey stood motionless behind the plate rather than defend his pitcher, jogging toward the melee only after Harper threw his helmet and punches started to fly. My initial thought was that Posey, the Giants’ catcher, was the sanest man on the field. But I knew that some players might see it differently, believing that teammates should always stand up for each other. And when I texted one Giants player afterward to ask his opinion of Posey’s evident indifference, he summed up his conflicting emotions perfectly. Strickland acted foolishly with his seeming retaliation for the two home runs that Harper hit off him in the 2014 Division Series. Harper, who was hit on the hip, not anywhere near the head, could have laughed at Strickland on his way to first base — though that is easy for a casual observer to say; it’s different, always different, in the heat of the moment. Posey’s failure to attempt to restrain Harper, though, is the greatest curiosity, one that is likely to spur debate about the Giants’ franchise player and one of the game’s great role models. 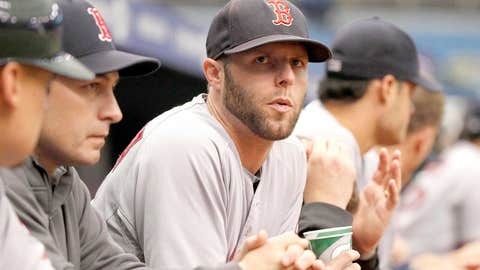 The former MVP’s seeming disavowal of Strickland evoked the recent memory of Dustin Pedroia’s “it wasn’t me” response to Manny Machado after the Red Sox’s Matt Barnes threw at Machado’s head. Each of these on-field incidents, though, is different. The Pedroia-Machado exchange happened after the fact. Posey’s “Atlas Shrugged” moment occurred in real time. Brian Gorman, the plate umpire, reached the mound much quicker than Posey, who stood at his position for a good five seconds before finally moving. 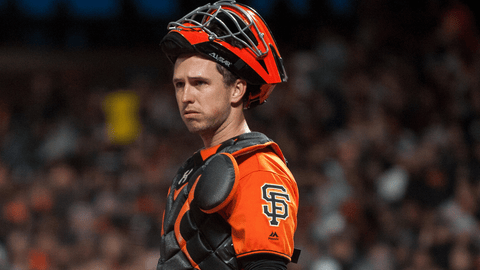 Posey’s body language suggested that he was exasperated with Strickland. He had every right to be exasperated with Strickland. And he told reporters afterward that his recent concussions were not the reason for his inaction. Many fans, reporters and even some in the game believe that all of this needs to stop, that pitchers need to stop throwing at hitters, that the risk of injury — either from the ball that is thrown or any subsequent brawl — is simply too great. But a good number of players, perhaps even a majority, would oppose a ban on such conduct, believing that they need an outlet to police themselves. AP/Copyright The Associated Press. All rights reserved. It’s easy to say those players are wrong, just as it’s easy to say that some were wrong to oppose new rules that were designed to enhance safety at home plate and at second base. Major League Baseball needs to be sensitive to player concerns, understand that the game cannot be completely legislated from Park Avenue. But as I’ve written before, if players are going to apply unwritten rules, then at least execute them properly — or maybe lose the privilege, once and for all. Strickland aimed his pitch at the right part of Harper’s body; the problem was, he had no good reason to hit Harper in the first place, and put Posey in jeopardy if the Nationals decide to retaliate in kind. So the reliever’s act, too, was a distortion of the unwritten rules. And Strickland, even after triggering the ugliness, would not calm down. It took three Giants — Hunter Pence, George Kontos and Mac Williamson — to drag the pitcher into the dugout. The Giants, winners of three World Series between 2010 and ’14, are in unfamiliar territory — nine games under .500, 11 games out of first place. Posey twice has been caught on camera expressing his frustration with first baseman Brandon Belt. And perhaps Monday’s madness was, in some ways, another sign of the team’s overall frustration, though Strickland probably does not deserve such a sympathetic view. Posey was in an uncomfortable position in the moment. He is in an uncomfortable position in the aftermath. What that means for Strickland’s future with the club — and the rest of the Giants’ season — remains to be seen.